Morning Friends! 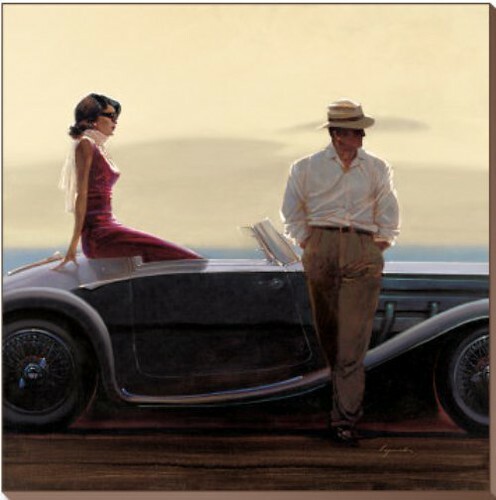 I came across "Coastal Drive" on Art.com and knew it would be a perfect way to start the week off. Mr. Vog and I made a last minute road trip to Maryland over the weekend and I must admit I love a good car ride. It was not nearly as glamorous as this photo but it was indeed fun! You know you are with the right guy when you can drive 900+ miles in 48hours together! Hope your week is off to a good start! Check back at noon for today's Home Typography Tuesday! What a beautiful and glamorous photo! A good car trip is always fun. Love the look, and the vintage feel.